You chose the right plant, dressed it in the perfect spot, and set the scene for the stage, now the fear sets in. 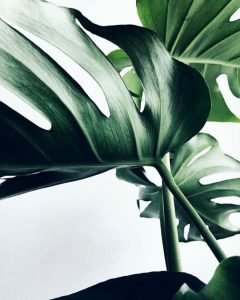 As much as we would love to tend to our plants everyday, the reality is, this plant is left there for an extended period of time where no one checks up on it. Here is where a few watering hacks may come in handy. 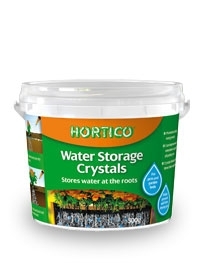 There are a few brands of water storage crystals you can pick up at Bunnings, like Hortico or Eden. Bury a few of these inside the soil close to the plant roots, and water thoroughly. They absorb the water and retain it for slow release. Not only does this benefit the soil from becoming hydrophobic, (essentially a fancy term for soil that is unable to absorb water), it will also help prolong the number of days between watering. The amount of watering needed for a plant is based on the amount of sunlight exposure. A plant may need watering two times a day during the summer under a lot of light, and similarly, when kept in the shade, water from its soil evaporates at a slower pace. However, only resort to this for a short period of time. The beautiful green colour in plant leaves comes from a pigment (chlorophyll) that processes sunlight into food (photosynthesis). Keeping light away from the plant deprives it of its nutrients and will damage your plant. 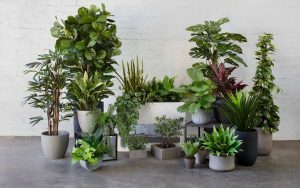 As great as these watering cheats are, it is still best to plan beforehand and work out an arrangement where your plants will be checked up on to ensure they are thriving and performing their best for your staging. 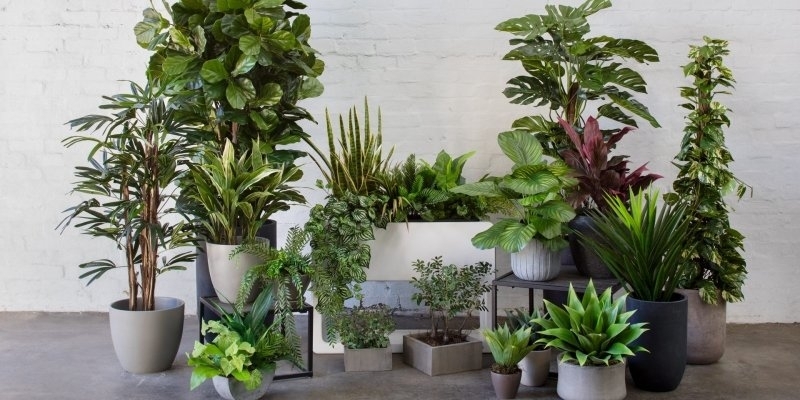 If you’re unsure about watering needs, artificial plants are great alternatives when designing spaces with greenery. 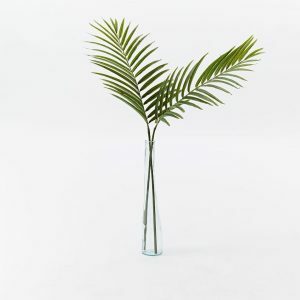 Keep in mind to choose silk plants versus plastic for optimal look. It always helps to freshen the leaves by misting it with water and wiping off with a damp cloth. 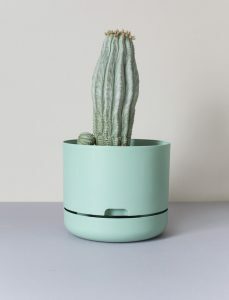 This trick also works great with live plants! (use room temperature water in this case.) If you’re like me and spends way too long deciding what vegetables at the grocery store, you may have been misted once or twice. The same principles apply here. Not only does misting help the green leaves stay fresh, it also restores the luster and clear away unwanted dust. Be sure to wipe away water droplets to not leave any markings.